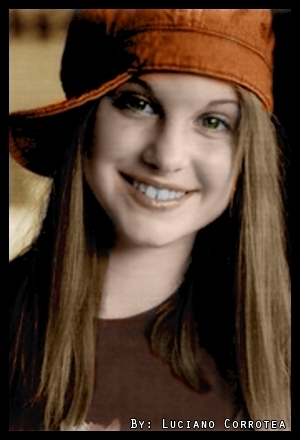 Hayley Williams (Younger photo). The original 'artist' added colours to the original photo which was black and white. Photo was taken about erm... a few years back. Around the AWKIF era or maybe even earlier. =). Wallpaper and background images in the Paramore club tagged: paramore hayley williams all we know is falling corrotea colour younger photo.